Our ‘Sgurr’ pendant is part of our contemporary collection and is made exclusively by Love from Skye on the Isle of Skye. This design is given it’s name, meaning ‘peak’ in Gaelic, due to it’s rock-like uneven texture. This collection was inspired by the texture of the rocky pinnacles of the Black Cuillin range and the standing stones present throughout Scotland. 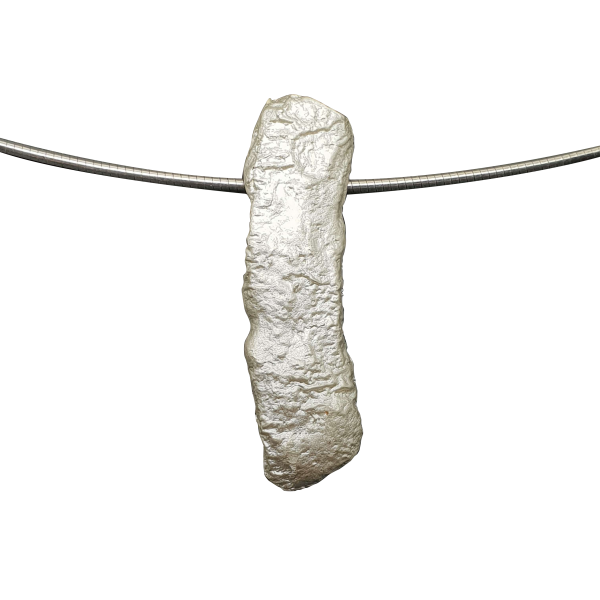 Our Sgurr pendant features silver in it’s raw state, echoing stone-like colouring. This pendant measures 35mm x 9mm and is presented on an 18 inch omega wire.